SystematicHR comments in Asynchronous Communications, HR 2.0 and the Future of Work that we (at least pre-GenX and GenX workers) are very into real time communications. "But the world and technology is increasingly lending itself to non-real-time conversations. GenY millennials are increasingly comfortable with conversations that span hours or days or longer. Ideas from these conversations hang around and tickle the backs of our brains until the become useful in some unexpected context." I largely agree with the post. Even when we send an instant message or e-mail we know that a response may not come back immediately because the recipient is in a meeting or has other priorities. And debates in the blogosphere can develop over an extensive time period. But I don't agree that asynchronous communication is that new. After all, when I started in consultancy 20 years ago, Partners still used to meet round the table to open their letters together every morning, looking for responses to their own letters, sent maybe a good week or so before! This clearly is a problem. As Systematic notes, "real time transactions, while growing from a data perspective, are shrinking from a human perspective". I agree with this point. Asynchronicity allows people to review content, think about their responses and publish worthwhile contributions. I certainly find I often need to think about other people's posts for a couple of days before I want to comment on them - so some of my posts do and will continue to comment on material that may seem rather dated to some. And it's a reason why, although I want to continue to learn about and develop my practice in social media, I can't ever see myself being drawn to Twitter. McArthur's Rant has suggested recently that people are abandoning LinkedIn for Facebook. One reason that Facebook is winning the war for 'names' seems to be that whilst LinkedIn is about building a network, networking is just the beginning of the relationship with Facebook. I've not been doing much in Facebook so far, so I hope some of my current LinkedIn contacts also welcome the opportunity to become my Facebook friends. But what's happened to MySpace in all of this? - it doesn't seem to be getting considered in this debate at all. Even though, according to mashable.com, it's still a more popular social networking site than Facebook even if Facebook has got better key features. My last post referred to be newly acquired addiction to blogging. But at least I can't access blogs when I'm in the office - my part-time employer is one of many that ban use of social media. There has been a lot of news on companies doing this recently. Facebook is the prime subject of these. One common reason for the ban is security. The blog finds that given the need to maintain internet security and "firewalls inside organisations, it is not surprising that many organisations have security set so that a number of sites can not be accessed". But the more common reason for restricting access to these tools seems to be fear of lost productivity with Facebook being a “procrastinator’s paradise”. For example, The Work Clinic report on a radio programme featuring employees who are using Facebook for five hours per day while at work (definitely a case of the Living Dead). "More than two thirds of employers are banning or restricting the use of Facebook and similar sites over fears that staff are wasting time on them when they should be working. Several companies have warned employees that accessing the site during office hours is a sackable offence. More than 70% of businesses, including banks and law firms, have barred the sites." This doesn't stop organisations using networking sites for their own ends eg as part of their recruitment strategy. XpertHR covers the agenda well in its post, 2.0 or not 2.0? That is the question. "A recent article in People Management, the online magazine of the CIPD, reported that a number of companies have got on board the Facebook rollercoaster and are using it to advertise their wares as a potential employer. Prevalent among these is Ernst & Young, who now have their own Facebook sponsored page (log-in required) where graduates can learn more about the firm." But there is debate about whether searching on someone's internet footprint, and particularly their use of social networks, is a legitimate tool within a recruitment process. Enterprise Rent-A-Car has compared looking at a candidate's social network page to going into someone's house and searching through their cupboards! (my view: if the information is there, use it). And there are ongoing stories about organisations opening up their intra-network sites. "The CIA is to open a communications tool for its staff, modelled on social networking sites such as Facebook and MySpace, the Financial Times reports. The project, known as A-Space, aims to improve the way that intelligence agents communicate, it said. 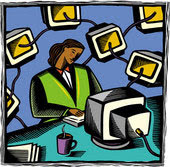 Officials believe that the online workplace will allow staff to better analyse information together." about full-time and contract job openings at the company... the so-called Dow Connect social networks will let “the overall Dow family — current and former employees — stay connected [and] stay current on what Dow is doing in case they choose to return.” Each Dow Connect social network will be tailored to specific audiences, such as former employees interested in returning to the company, women looking to better balance work and family issues, and retired Dow employees seeking to work on short-term projects. The networks will also let users “find out other pieces of information that would be difficult, if not impossible, to ascertain from an online jobs board”." So why don't organisations feel they can let their employees gain these benefits from inter- networking sites as well? Do they really want to limit their employees' relationships, knowledge sharing and advocacy? Surely, security problems can be managed in a different way? And so what if checked out employees can't manage their social life online - they're still checked out. It might be better that they do something as innocuous as social networking than other things they may do with their freed up time (they're not going to devote their discretionary behaviours to improving their company's profitability, that's for sure). "There are a few news stories regarding employers who are blocking social networking sites, this is a dangerous policy in my humble opinion! First of all, for all the wise words on values at recruitment interviews or on the wall in the reception, this one action is saying "Despite your high salary, despite your talent, despite the fact I said I valued/trusted you.... I don't - on this occasion I will treat you like a child. I will allow the actions of a few to determine the policy for all" For me the problem is not overuse of Facebook, it is why are people that bored with their work that they spend all their time on Facebook? What are the managers doing? Why aren't the managers dealing with the people "abusing" the open culture? Facebook is no different to any other communication. If someone stands at the coffee machine for hours on end you would talk to them, discipline them if necessary but you wouldn't ban every person having coffee (I hope!)" Don Taylor has just noted my blog on his post New Blog on the Block. I also talked to Don today about an event Infobasis are running, and Don asked how it was that I had the time to write such extensive posts. One answer might be that I draft them on days I am working in London, on my long commute in from Martin's Heron to Waterloo. The other answer might be that I've very quickly become addicted to blogging. It seems I might not be alone - I've just come across this on Fortify your Oasis - a mini-quiz on blogging at online dating site Mingle2. I think it was question 14 that did it for me! It was apparently Blogger's eighth birthday yesterday. I don't know when blogging began - presumably some time before this. But I only really became aware of it, at least as something that might be valuable to me, around this time last year. I set up my blogger account this January, and in July, went live. I recognise that I've fallen behind with the potential of new technology, which is rather poor given that my second career was in IT (my first was in Engineering, and my third in Change Management - I see HCM to be my fourth). In fact, I only bought my first ipod last month. And I still don't understand what a mashup means. 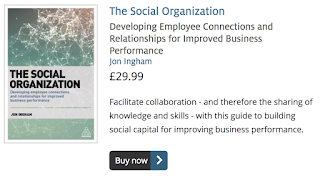 So my interest in blogging comes partly from a desire to catch up with the times, but also largely from a growing fascination with social capital, which I mentioned in my book, but only in passing, but feel intuitively, is going to be something of growing importance for HR. And I increasingly believe that social media is something that will enable us to revolutionise what we are able to create in the way of social capital. So this is my way of experimenting with all of this. I've already given a couple of webinars, for example with Saba, and I'm sure that my podcasting will start to become available soon. And quite frankly I love doing it (even when I should be doing something much more constructive, or at least chargeable, on a Friday afternoon). I found writing my book a very therapeutic process as it made me think about and challenge everything that I'd been reading and talking about over the previous three to four years. Blogging gives me the same sort of feeling, but on a day by day basis. My posts also act as an ongoing source of material for future client work, articles and so on. "If there is a an article which just has a couple of salient points I want to retain, I write a page on my blog with details of the idea or research - sometime I write a blog post on Biz Growth News; then I save the article in a relevant category on my blog. That’s one of the reasons I love my blog as it becomes a source of information not just for my clients and blog readers, but a wonderful content management system for information that I know I will want to refer to again." But I still come across people to whom this is totally new. I met another consultant earlier in the week who had never been into a blog. That's an awful lot of information he's missing out on. I certainly find that a lot of my thinking and research originates in the blogosphere. One of the areas being focused on by Gordon Brown is the UK’s skills shortage. See for example, my comments on the Leitch Review, right at the bottom of this blog, which were written for Learning Light. It was Brown that set up the review (in itself a political statement given that the review says very little that is new – the skills shortfall and the need to match supply with demand go back at least as far as when I joined West London Training & Enterprise Council, or TEC, in 1993). The government’s response to the review, World Class Skills, was delayed until Brown was in charge. The creation of three new government departments (DIUS, DCSF and BERR) signals an intention to shake up the UK skills agenda. These three points suggest that Brown does see skills as a strategic priority for the UK. Skills also fit into what I noted in my last post is Brown’s broader focus on both competitiveness and social mobility. The danger of not doing this will be, in Lord (Digby) Jones words, that China will have our lunch and India our dinner. But increasing productivity depends mainly on higher rather than lower level skills. Both India and China have a long tail of unskilled workers, but enough highly educated and committed workers to provide their competitive success. So Leitch’s and Brown’s focus on lower level skills is also, and possibly more significantly, about social fairness. Lack of skills is a major barrier to broader and wider participation in the workforce, and to providing equal opportunity across all communities. One development in the Leitch review and Brown’s agenda is the prime role given to employers in delivering the right skills (ie being demand led). Leitch recommended that employers should be exhorted to training their employees, and that if exhortation fails, they should be forced. To me, this strikes a very appropriate balance between a US-style light-touch, free-market approach and a typical continental Europe response to legislate for mandatory training. Working through the sector skills councils, government and employers how have to ensure that qualifications are fit for purpose, delivering both the competitive and social benefits we need. Meeting this challenge should not be beyond us. A bigger challenge is likely to be changing the UK’s broader perspectives on skills, developing what Leitch referred to as a culture where everyone values learning. Here, the UK’s new skills campaign, “Our future – it’s in our hands” is a good start, but much more will be required that this. As Leitch notes, changing culture “will be a generational task, but a change in behaviour can start today”. What can UK HR expect from Gordon Brown as prime minister? This week’s Personnel Today includes an article (featuring some of my comments) on what we know about Gordon Brown and how he is impacting HR’s agenda, 100 days into his tenure as the UK’s Prime Minster. 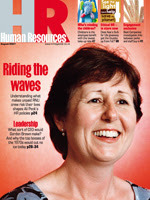 Human Resources magazine’s July edition has already reviewed Gordon Brown’s leadership style. The article largely supported my view that effective leadership doesn’t need to be based on charisma. I think instead that Gordon Brown’s rise to the premiership emphasises the importance of ambition, dedication and perseverance as well as having a fair amount of luck. But the real test of a leader is about what they achieve, rather than the style they use to achieve it. In their book, Right from the Start: Taking Charge in a New leadership Role Right from the Start: Taking Charge in a New Leadership Role (1999), Dan Ciampa, an independent consultant, and Michael Watkins, a Harvard Business School associate professor, advise three key missions for new leaders (particularly those promoted from within their organisations): create momentum; master the ability to learn, convey a vision and build coalitions; and know and manage yourself well. A fast start is especially crucial. On this score, Gordon Brown has clearly been a success. He has announced a series of important new policies containing several dazzling and skilfully communicated U-turns. July’s statement on the government’s draft legislative programme for the next session of parliament includes a number of major changes affecting employers and employees. Brown is continuing New Labour’s engagement of business, through the formation of the Department of Business, Enterprise and Regulatory Reform (BERR) and the Business Council for Britain, both aiming to help ensure the future economic well-being of the UK. One example of reform which is particularly important for HR is the Employment Simplification Bill. This includes a number of positive changes to simply, improve and enforce employment law and repeals the recently introduced but largely unsuccessful statutory dispute resolution procedures. However, for Brown, the importance of competitiveness is balanced by the importance of social mobility: widening participation in the workforce. A good example is skills. 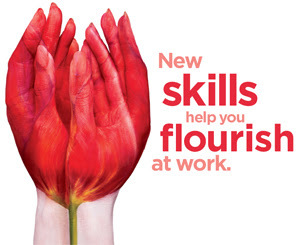 As the Leitch report demonstrated, skills are vital to generating a modern, competitive economy. But Brown also sees them as critical to social justice. Therefore, Brown intends to introduce a duty on employers to release young people to undertake training or education. The new Department of Innovation, Universities and Skills (DIUS) will help take forward this agenda which is outlined in the Education and Skills Bill. However, as I explain in the Personnel Today article, "The key test remains how effectively these bills will be implemented and the crucial requirement here is ongoing consultation with business". The formation of the Business Council for Britain is a good start and many of Brown’s other initiatives echo the same approach. A good example is the encouragement of organisations to get more involved with their sector skills councils to ensure they have access to qualifications appropriate to their needs. Gordon Brown needs to ensure that this engagement of business, and of HR, continues and develops, if his new bills are going to be implemented successfully. "One of the key arguments in favor of HR outsourcing is that by outsourcing the operational aspects, HR professionals will be freed up to engage in more strategic issues. This is far from true. Many of the employees’ problems do not present themselves in neat and discrete ‘operational’ packets. The solutions to many issues are quite complex and often require the involvement of one or more managers, assessment of the potential impact of decisions on peers, judgment about making exceptions based on special considerations and so on." I agree that making the separation work is a lot harder than many organisations believe it is going to be but I don't believe the theory is the problem. Organisations can separate ownership of strategy and operations and still make the two work seamlessly together to make judgments and decisions and provide solutions to problems. The problem is that organisations forget to plan ahead for the higher engagement in strategic issues (adding and creating value) as well as increased efficiency in operational issues (value for money). This was also the conclusion reached in a Buck Consultants survey, Retained HR After Outsourcing: Optimising Performance, conducted in 2006. In fact, high-performing organizations planned ahead 48% more often than other respondents for the new roles of retained HR staff. 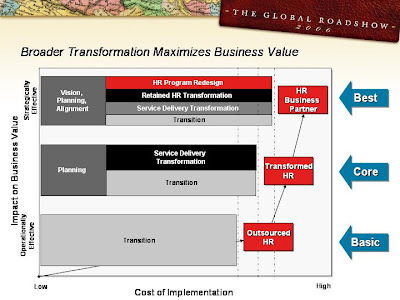 We concluded: "Business value, not just cost reduction, should be the objective of every HRO initiative." I am currently working with colleagues from Buck and ACS on GSK's HR outsourcing, and look forward to seeing how how well this results in transformational as well as cost saving benefits to them. Diversity - in or out? "With globalisation and changing populations, employers needed to ensure that all staff - not just those in HR - take responsibility for diversity. Specialist practitioners should work outside existing departments to embrace diversity across an organisation's workforce, products and services, and this is no longer the sole province of HR. Diversity practitioners could monitor diversity practices, or act as internal consultants, to involve every department, including HR. 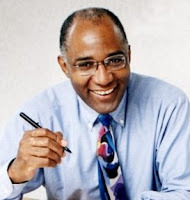 Most organisations are beginning to realise they need a better understanding of how to deal with difference in a whole range of departments, which is why diversity is coming out of HR,"
Personnel Today has found that senior HR diversity practitioners agreed with Phillips that diversity was too big a job to stay in the HR function for long. Nick Smith at Npower says: "When diversity sits in HR there will be some people who shrug their shoulders and say 'it is just another HR initiative'" and Mary Shaw at the Ministry of Justice stated "Diversity is not just about staff it is also external facing and about how an organisation supports diversity and equality, and also the way it runs its business". I have generally found that I have agreed with many of Phillips conclusions, but not with this. And of course, it is not just Diversity that would make a special case for separate status, and even a Board level role - Communication, Learning and Development and other sub-functions also often argue for this. I guess, if you see HR, Diversity, Communication, Learning in process terms you can justify any sort of realignment. But if you think about outcomes, about what each of these functions and sub-functions are trying to achieve, then they are all aimed at developing the same sorts of things (eg human, organisational and social capital). Separating them out is usually going to lead to overlapping responsibilities, causing confusion and often unnecessary conflict. August's RSA Journal includes an article written by social entrepreneur MT Rainey on social media technology and social capital, supporting the RSA's intent to develop "pro-social behaviour" in order to close the "social aspiration gap". The article argues that the rise of web 2.0 or social web technology is leading to a grassroots revolution of "connectivity, coalition, collaboration, creativity and control" which is transforming the world into "empires of the mind" - as predicted by Winston Churchill (foreseeing the creation of Second Life?). "We can now create, produce and share ideas, opinions and artifacts within an infinite number of networks and without the agency of established organisation or institution. New and dynamic forms of organisation and collaboration can rise up and fall away as their purpose is served. There is no 'overhead' in cyberspace." "Paradoxically, even when under the cover of a user name, anonymity can foster increased honesty and authenticity, and many argue that online relationships, decoupled as they are from the tyranny of physics and chemistry, are more 'real' than real. As the metaphor shifts from consumption to participation, all of this is turning 'consumers' back into people - players, not just payers." The same applies within organisations - 'employees' need to be seen as people too. And whole organisations need to be remodelled. One of the best illustrations that I've come across of this is a story provided by ex BBC communicator, Euan Semple, in a Ragan Communications webinar, 'The Quiet Revolution' earlier this year. Euan talked about an ex colleague of his from the BBC, a world of warcraft fan, who was contrasting very unfavourably his ability to spend his evenings engaging with a large number of people to achieve very complex processes in a stimulating and engaging environment, to what was possible at work. "It is increasingly via the web that we codify, experiment with and display our identity - not as the state sees it, in terms of passport, driving licence and National insurance numbers, nor, as Tesco sees it, in terms of our Clubcard number and buying preferences, but in our own terms: richly expressive, deeply connective, occasionally banal but always unique." I hope you like my new avatars (digital characters) on the right hand column of this blog - I suspect experienced bloggers will find them extremely annoying, but I hope I'm forgiven as a newbie for a bit of experimentation. I've also been doing a bit more playing around in Second Life (SL). For those that don't know, SL is a three-dimensional, virtual reality world where you can meet interesting people, do amazing things, and live out your fantasies. The use of SL for HR purposes is also being explored. In recruitment, organisations are conducting recruitment activities virtually, presenting themselves as innovative employers and simplifying interviews and assessment processes. The main focus to date has been on IT designers, animators, virtual-world builders and the like, but this is now starting to extend. Yell has recently launched a SL campaign alongside TMP with uniformed avatars wandering around SL and talking to other avatars about the company. Yell believe that SL users may provide the 'creativity and innovation' they seek within their workforce. In learning, many organisations are running SL workshops, providing great opportunities for experiential learning which allow people to try out new ideas and practice new skills without fear of failure and embarrassment. Some are developing virtual campuses. IBM has embraced Second Life more than any other major company — it has more than 230 employees spending time in-world, and it owns some half-dozen islands. Some are open to the public, including a flashy recruitment office that links to its internet recruitment site. IBM even has a dress code for its employees' avatars (see Jay Cross' post IBM bringing decency to the wild frontier). The company says it may also look to develop it’s own in-house virtual world for the use of employees and clients. Despite rising concerns about SL's potential (see, for example Don Taylor's post Second Life Backlash) this seems to be a medium for which business and particularly HR applications are going to grow and grow. SL and other similar virtual worlds may never become environments where businesses can mass market their products, but they provide interesting additions to the tools organisations can use to increase social interaction, including within their workforces. Look out for our avatars next time you visit. 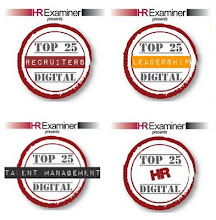 I've just caught up on Bersin's Talent Management Newsletter for August which reviews the firm's research on the Top 22 talent management programmes that drive high business impact. For sourcing and recruiting, think sales and marketing. Bersin also find that it is 'processes', not 'systems' that drive results. I agree with this conclusion, but what about (which to me, is even more important) 'behaviours'? I've just viewed an HCI webinar 'Beyond HR Metrics' presented by John Boudreau from USC. 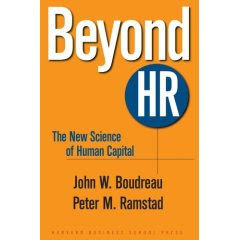 Boudreau is the co-author of Beyond HR and will be presenting at the CIPD conference on HR as a Decision Science in September. 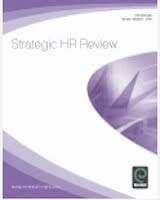 Boudreau outlines a strategic approach to people management he calls ‘Talentship’ that has a number of similarities to my perspective on Strategic HCM, and a framework ‘HC BRidge’ which has some similarities to the HCM Value Matrix. The similarities include a belief that HR can evolve into an influential, strategic discipline focused on creating competitive advantage in an organisation by maximising the capability and engagement of its people and in particular its talent. Both perspectives see this strategic role extending past best practice through the development of a coherent and contingent framework that links organisational talent to strategic success. Boudreau believes the development in HR’s role, linked to the increasing importance of human capital, is analogous to the historical development of accounting into finance, associated with the increasing importance of financial capital in the 1900s, and of sales into marketing, associated with increasing size and sophistication of customer and product markets. He concludes that like finance and marketing, Talentship has the greatest impact outside of the profession itself. Although I am unconvinced by the analogies as Finance, Marketing and HCM all have very different purposes, I agree with Boudreau’s conclusions. Both perspectives agree that it is what happens across the organisation rather than within the HR function that counts – most strategic decisions about people management need to be taken by senior and line managers, and by employees. This means that the HR function should be evaluated not so much by the quality of its programmes, as by the quality of decisions about talent that are taken throughout the organisation. Both approaches see the need to focus measurement on key enablers rather than build upon all the data that is available. This approach describes how planning, measurement, benchmarking, implementation and reporting have different requirements depending on where they are placed within the Matrix. Boudreau's HC BRidge provides a value map connecting investments, activities and business success: ‘The purpose of the HC BRidge model is to provide a framework to articulate the logical connections between investments, changes in the nature or deployment of workforce talents, and sustainable strategic success’. Efficiency (including Input and Process measures from the HCM Value Chain). Boudreau also refers to the different ways that HC BRidge can be used – points that also relate to the use of the HCM Value Chain. These examples nicely illustrate very well the broad utility of the Value Chain approach. I do not believe the terminology of the HC Bridge is as clear as the HCM Value Chain (to me, efficiency and effectiveness relate more to levels in the Value Triangle than to stages in the Value Map) but at this level, it basically does the same thing. "Rather than simply focusing on headcount gaps, he asked “What do these employees do that makes the biggest difference to your business?” (“Aligned actions”), and then, “How does their activity blend with others in your organisation to create that value?” (“Talent Pools”), and then, “What are the key processes in your business where these activities have their biggest effect?” (“Business Processes”), and then, “How does doing these processes well contribute to our ability to build and sustain an advantage in the marketplace that is protectable?” (“Sustainable Strategic Success”). The HR manager reported that the line manager said, “This is certainly a different conversation than I usually have with someone from HR. It’s caused me to think about things I seldom consider, but I should do, to more strategically understand what’s driving my headcount and requisition budget." Whilst I obviously support the broad linking of activities to their outputs and resulting impact, I think this is too deep a level of analysis for a conversation like this - in my experience, Directors would start to get frustrated rather than intrigued at the repetitive nature of these questions. 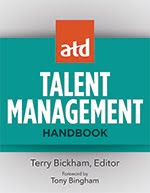 And although I believe talent management has a very natural connection to HCM, I think it is inappropriate to hard-wire talent pools into the Value Chain. Talent management is one good solution but is not the only one and may not be the right one in many situations. "Provides a logical, reliable and consistent – but flexible – framework that enhances decisions about a key resource, wherever those decisions are made. A decision science does not rigidly prescribe what to do, but rather provides a logical system to identify and analyse key decision issues." Boudreau explains that the consequence of not having a decision science is that ‘talent decision will be made using non-logical decision frameworks’ for example by following politics, fads and fashions. Although I agree about the dangers inherent in following fashions in management theories, I disagree that logic is the sole basis for creating a new strategic role for HR. Given the degree of complexity in business, I believe ‘non-logical decision frameworks’ like creativity provide the key to HCM. However, the greatest difference between the two perspectives relates to their strategic ambition for people management. The high-level HC BRidge is largely equivalent to the HCM Value Chain but Talentship has no equivalent perspective to the Value Triangle. Boudreau compares HR to finance professionals who, given the same business challenge, will ‘approach it with similar logic, and develop a reasonably similar analysis of the issue’. This standardisation in approach would certainly assist in moving from Personnel to HR, but would do nothing to advance to HCM / created value. Of course there's nothing new in the idea of flexible working, discussed in my last post in connection with the introduction of flexible holiday entitlement by Ernst & Young. 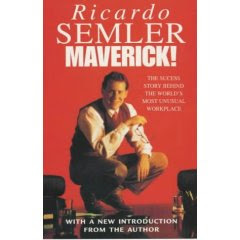 One of the first companies to use this approach was Semco, discussed in Ricardo Semler's book Maverick. I read this quite a few years ago, but had never come across his sequel, the Seven Day Weekend, until a copy was given to me by Gareth Jones at Courtenay a few weeks ago (thanks Gareth). return for Fridays off. They could come in at 5a.m. and leave earlier than their colleagues, as long as they put in eight hours each day. But for many people, there's virtually no end to the workday. The same Intranets, web access, modems, e-mail, pagers, cellular phones, and laptops that have ended the weekend have also eliminated the nine-to-five workday." Instead, Semco lets it employees do their work in the way, at the time and in the place that's right for them, during the whole seven day week. Semler justifies this very simply by explaining that if people need to answer emails (or post blogs!) on a Sunday, they need to be able to go to the movies on a Sunday afternoon. "People question whether this doesn't take the joy out of the weekend. It could, surely, but I've transported joy to every weeekday. I go to a movie on a grey afternoon, or for a hike in the hills early on a Wednesday." Flexibility can even extend beyond this, using Semco's Retire-A-Little programme to trade time off now with extra time after the normal retirement age. One thing I find surprising, particularly given Semler's desire to make work feel more fulfilling, is his reticence to go beyond his admittedly innovative approaches to flexible working and work-life balance to further engage Semco's workforce. 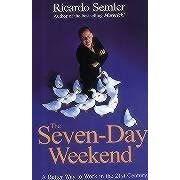 Apart from ensuring people can live the 'seven day weekend', Semler seems to have low expectations for the role work can play in someone's life. "Another source of stress and disappointment is the expectation that the workplace is an extended family. People want their jobs to provide a sense of belonging, to feel they're taken care of, to bond with colleagues. But they're looking for characteristics the company can't supply. they should keep the company role in perspective. The fact is, you don't have to like people to work with them." Surely, work can provide more meaning for people than this? 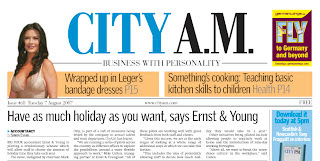 Another example of great talent management within professional services - my former Employer Ernst & Young's introduction of completely flexible holidays (presumably with some salary sacrifice involved). It's the sort of policy which from an HCM perspective is just so intuitively right, the question is why aren't all organisations (at least those that are knowledge vs production focused) doing it? Despite the title given to my letter, my response to Human Resources was really about HR's role, not metrics, I was simply responding to their comments that better use of metrics play a major part in how we become more strategic. A better explanation of why this thinking is erroneous (metrics play a part, but not a major part in this) is provided by my fellow research associate at Learning Light, Jay Cross, who originated the term e-learning and is the author of a recent book on informal learning, and with whom I spent some time at the CIPD's HRD exibition earlier this year (see Jay's blog on this). This explanation comes from Jay's article in June's Chief Learning Officer and focuses on the ROI of learning, but applies to broader use of metrics, and other HR processes as well. "It’s ironic, but things you can’t see have become more valuable than things you can. Eighty percent of the value of the Fortune 500 is intangible. Yet, business managers still act as if something invisible is worthless because it can’t be seen and sized up. Vestiges of Industrial Age thinking about value live on inside corporate walls. ROI is a useful concept, but it’s not if you leave out the intangibles. Measuring intangibles involves making judgment calls, so managers often exclude these factors from their calculations. These people tote up the numbers for things they can see and count, and then they list intangibles on the side, as if this keeps their calculations pure. This is nonsense. Learning in organizations is not a science experiment under controlled conditions in the lab. Cause and effect in business is never precise unless it is preceded with the phrase “other things being equal.” Trust me, in the real world, other things are never equal. Reality emerges from the interaction of complex adaptive forces. Stuff happens. Actually, the old can’t-manage-can’t-measure meme is totally wrong. Executives manage unmeasured things all the time." If you're still interested, you may also like to see my earlier post Global Leadership Forecast or my contribution as part of this thread on Training ROI on Training Zone. Last month’s magazine rightly drew attention to the huge disconnect between the opportunities inherent in a strategic approach to people management, and the current focus of many HR functions. Your editorial noted that HR should be working closely with the MD to jointly agree the people management agenda but this clearly is not happening. In fact, the research you referred to indicates that only 19% of executives in Western Europe agree that their HR teams play a crucial role in strategy formulation and operational success. For me, this is the most important point in the research. If HR is not involved in developing an integrated business / people management strategy, then it is never going to have a strategic role. However, I don’t agree with what seems to be your conclusion that HR needs to start talking business, demonstrating it contribution to bottom-line value. Well yes, of course HR does need to do this, but it’s not going to be enough. Taking metrics more seriously and conducting people management evaluations is a waste of time unless HR is capable of creating more value as a result. This is about significantly increasing HR’s contribution, not just demonstrating it. And doing this requires more than just improving skills in developing leaders, talent, motivation and organisational culture. It requires HR to take responsibility for making significant, positive changes to these critical organisational capabilities too. The Human Capital Institute have just sent me an invitation to participate in their global leadership forecast. It's an interesting survey, particularly in the way that it seeks to gather separate but linked data from HR professionals and business leaders. In some ways, this approach links back to the approach taken by IBM in their 2006 study, The C-level and the Value of Learning (TD, October 2005, ASTD) which was based upon separate interviews with CxOs and CLOs (Chief Learning Officers) in 26 organisations. This was a seminal study that raised real doubts about the Learning function's pursuit of Training ROI as the 'Holy Grail'. Basically, L&D seems to think it needs to calculate ROI because their Boards need it, but their CXOs don't actually have this expectation, understanding that so many assumptions would be needed within this calculation to make it practically meaningless. The IBM survey shows the importance of HR and the business discussing each others' perspectives and expectations (and I firmly believe this shouldn't just be one way - from the business to HR - but that HR should provide its own perspective to the business too). 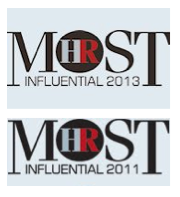 I have also just received a Trend Watcher email from HR.com, 'HR Struggles with Organisational Growth'. This refers to a survey conducted by the Human Resource Planning Society (HRPS) in collaboration with i4cp (the Institute for Corporate Productivity) into how HR is responding to the strategic challenges related to profitable new growth. The good news is that 2/3 of the 466 participants in the survey – most of them HR professionals - recognised that the requirement of growth is changing the meaning of "strategic HR". A third of participants also felt that their senior HR leaders are critical members of the executive team and are, as such, responsible for profitable growth, or that HR is a "key architect in positioning the organization to promote more growth". The bad news is that many senior HR professionals are obviously struggling to establish a prominent position in this area. The bottom third of participants said HR leaders form part of a team that is below the executive-team level or is simply not included in the organization's growth strategy. In the middle, is another third of participants who suggested that senior HR leaders are "on the sidelines" of the growth agenda and only contribute in spot roles such as talent acquisition and integration. It is this group that are most exposed to different perspectives along the lines of those that were identified by the IBM survey. It is also this group which would most benefit from am HCM diagnosis that reviews the perspective of both HR and CXOs, and is the basis for an audit tool that I am currently developing (please contact me for more details). Helping leaders to frame the growth challenge for the organisation. "HR professionals have unique perspectives on the workforce challenges associated with profitable growth. For example, they can be the first to spot "scalability" problems if an organization is too dependent on workers who have rare skill sets. They may also be uniquely able to assign measures to growth-related problems such as turnover, hiring costs, and other staffing concerns." 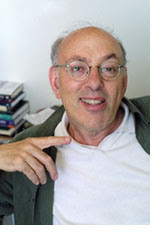 But I think Mintzberg's last suggestion is potentially the most valuable. I've already posted on Ulrich's article on leadership brand in July and August's edition of Harvard Business Review but the issue also includes another couple of interesting articles on managing in the longer-term. "Imagine what would happen if you fired everyone in your company and shipped from stock: Working hours would disappear while output would continue. That would be extremely productive, and you’d make a lot of money in the bargain. Until, of course, you ran out of stock. In my opinion, many American companies are running out of stock. They’re trading away their future health for short-term results. No CEO fires everyone, of course. But thanks to corporate subservience to shareholder value, which means driving up the price of a company’s shares as quickly as possible, CEOs have been finding all kinds of other ways to cash in the goodwill that accountants and economists have trouble measuring. Trashing the brand is one easy way. Cutting R&D is another. Then there is managing by the numbers: The CEO decrees the desired results, and everyone else has to run around meeting them—no matter what the consequences. Most popular of all, of course, and closest to shipping from stock, has been “downsizing,” a euphemism for firing operating workers and middle managers left and right to cut costs. At the drop of the share price, even as the company remains profitable, out the door they go: bones thrown to the hungry dogs of the financial community." Mintzberg puts the problem down to the short-term focus of American business and extols the need to get the analysts off the back of the corporations. But is there really a problem? On the 14th July, the Economist ran an article Jam today in which it questioned whether short-termism was really an issue, quoting Baruch Lev at NYU: "If short-termism is such a problem, how come this country is doing so well?" 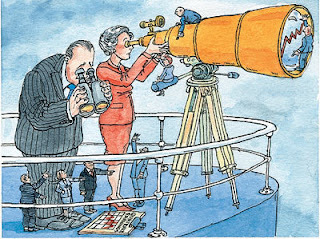 The Economist concluded that a better balance between the short and long term is needed. Horizon 3 to incubating the germs of new businesses that will sustain the franchise for into the future. As its title suggests, the article recommends focusing on the middle term in order to succeed in the long term. This echoes the points I make in my book on Value for Money, Added Value and Created Value which largely correspond with McKinsey's three time horizons. Organisations need to satisfy the medium term and add value to their stakeholders before they can effectively deal with the needs of the longer term, and create value to 'sustain their franchise'. HR has the same needs as well. HR needs to add value by being a more effective business function, but it too will only sustain its franchise if it thinks long term, about the germs of potential residing in the organisation's people, and creates value for the organisation based upon this. After having taken a couple of days off sick I was intrigued to come across a July post by SystematicHR on sickness metrics, How To Lie With Analytics. As we all know, a large majority of sick days are taken on Mondays and Fridays. It's easy to think that the cause of this is employees abusing their sick days to create long weekends. A better record keeper than myself, Systematic reviewed his timesheets for the last few years to find that he also took 80% of his sick days on Mondays and Fridays. "I began to wonder why I tend to get sick during weekends and on vacations. A friend gave me some good insight. High performing people have bodies that tend to know when there is downtime coming and can force illnesses into those times to create rest. Now I have no idea if this is true, but the proportion of time I’ve been sick during vacations versus work time is completely off kilter. We use analytics to create truths (ok, trends) from which we extrapolate “facts.” Unfortunately these facts coming from quantitative data are about as good as anything you get with statistics – you can create a version of truth for everything. You can find a correlation for your best employees and show how they abuse the sick time system to create 5 long weekends a year. (I just took Friday and Monday – I had a 104 degree fever). There might be people who went to Las Vegas. And I guess it was true… I was laying in bed fairly drugged up." I wonder what other errors of analysis unthinking use of HR metrics leads us to? I've just finished doing a board assessment for a small fund management organisation. I can't say anything about it, other than to note that I think my client found it useful, particularly in raising their self-awareness about what was going on. "When you embark on this for the first time, it's helpful to have a third party. The person can provide insight into best practices because he has been exposed to a number of different boards. He can provide advice for building a framework for the process."